Rebuilding anything is hard work. Nearly two years after the 9-11 terrorist attacks, New York developers announced a challenge — design a memorial for a shocked and grieving nation. Anyone could enter the competition. Entries poured in from architects, artists, students, and other creative people around the world. A panel of 13 judges reviewed 5,201 proposals. It took six months to select the designs of eight finalists. Behind closed doors, one of the judges, Maya Lin, praised a simple memorial originally titled Reflecting Absence. The 34-year-old architect, Michael Arad, had never built anything larger than a police station. Yet submission 790532, Arad's model for the memorial, stayed in the hearts and minds of the judges. Michael Arad had served in the Israeli Army, studied at Dartmouth College and Georgia Tech, and eventually settled in New York. On September 11, 2001, he stood on the roof of his Manhattan apartment building and watched the second plane strike the World Trade Center. Haunted, Arad began sketching plans for a memorial long before the Lower Manhattan Development Corporation (LMDC) launched their competition. Arad's concept for Reflecting Absence featured two 30-foot deep voids, symbolizing the absence of the fallen Twin Towers. Ramps would lead down to underground galleries where visitors could stroll past cascading waterfalls and pause at the plaques engraved with the names of those who died. Arad's design was truly three-dimensional, with subterranean features as pronounced as those at street level. The design, Arad later told Places magazine, drew inspiration from the simple, sculptural work of architects Louis Kahn, Tadao Ando, and Peter Zumthor. Although the judges admired Michael Arad's entry, they felt that it needed more work. They encouraged Arad to join forces with California landscape architect Peter Walker. By all reports, the partnership was rocky. However, in the spring of 2004 the team unveiled an expanded plan that incorporated a scenic plaza with trees and walkways. Critics responded to the 9/11 Memorial plans with mixed reviews. Some called Reflecting Absence "moving" and "healing." Others said that the waterfalls were impractical and the deep pits hazardous. Still others protested the idea of memorializing the dead in a space located underground. To make matters worse, Michael Arad butted heads with architects in charge of the New York reconstruction projects. Daniel Libeskind, master planner for the World Trade Center site, said that Reflecting Absence did not harmonize with his own Memory Foundations design vision. The architects chosen for the underground National 9/11 Museum, J. Max Bond, Jr. and others from the Davis Brody Bond architecture firm, came on board and tweaked Arad's subsurface memorial design — apparently against Arad's wishes. After stormy meetings and construction delays, cost estimates for the memorial and the museum soared to nearly $1 billion. In May 2006, New York Magazine reported that "Arad's memorial teeters on the brink of collapse." The World Trade Center towers (the skyscrapers) and the Transportation Hub are the business end of what is built at Ground Zero in Lower Manhattan. 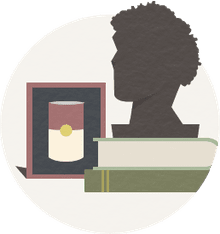 Early on, however, politicians, historians, and community leaders knew that a good part of the real estate had to be dedicated to the people affected by the terrorist tragedy. This meant a memorial and museum within one of the largest spaces set aside for redevelopment. Who was involved? Architects of the underground museum (Davis Brody Bond); architects of the aboveground pavilion entrance to the museum (Snøhetta); architect of the memorial (Arad); landscape architect for the memorial / museum plaza area (Walker); and the architect of the Master Plan (Libeskind). Compromise is the cornerstone of every great project. Like Libeskind's dramatically altered Vertical World Garden, Reflecting Absence saw many transformations. It's now known as the National September 11 Memorial. The names of those who died areinscribed on the bronze parapet on the plaza level, instead of in underground galleries. Many other features that Arad wanted have been modified or eliminated. Still, his core vision — deep voids and rushing water — remains intact. Architects Michael Arad and Peter Walker worked with a water architect and many engineers to construct the enormous waterfalls. Family members or victims remained actively involved as they deliberated over the arrangement of the engraved names. 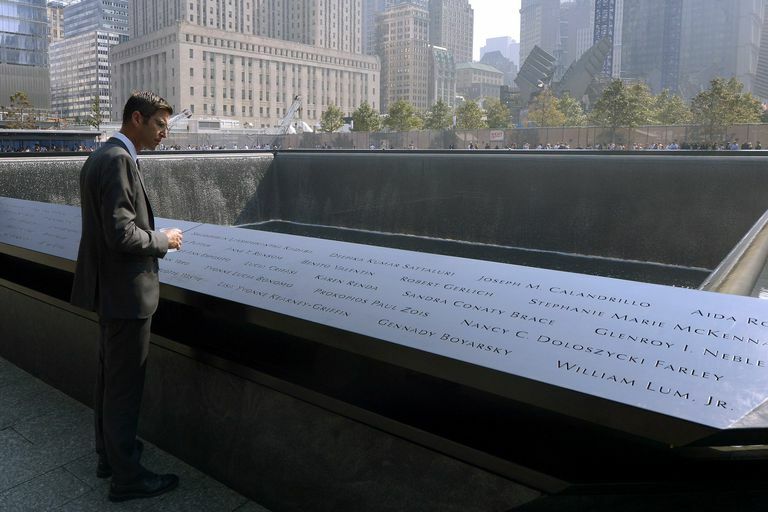 On September 11, 2011, ten years after the terrorist attack on the World Trade Center, a formal dedication ceremony marked the completion of the National 9/11 Memorial. The underground museum by Davis Brody Bond and the aboveground atrium pavilion by Snøhetta opened in May 2014. Together, all of the architectural elements are known as the National September 11 Memorial Museum. The Memorial by Arad and Walker is an open park space, free to the public. The underground museum, includingthe infamous slurry wall that holds back the Hudson River, is open for a fee. The September 11 memorial site is designed to honor the nearly 3,000 people who were killed in New York, Pennsylvania, and at the Pentagon on September 11, 2001, and also the six people who died when terrorists bombed the New York World Trade Center on February 26, 1993. More generally, the National 9/11 Memorial speaks out against terrorism everywhere and offers a promise of renewal. Michael Sahar Arad was one of six recipients of the Young Architects Award given by the American Institute of Architects (AIA) in 2006. By 2012 Arad was one of fifteen "Architects of Healing" receiving a special AIA medal for his Reflecting Absence design of the National 9/11 Memorial in New York City. Arad was born in Israel, 1969, and served in the Israeli Military from 1989 to 1991. He arrived in the US in 1991 to go to school, earning a BA in Government from Dartmouth College (1994) and a Masters in Architecture from Georgia Institute of Technology (1999). He signed on with Kohn Pedersen Fox Associates (KPF) from 1999 to 2002, and after 9-11 worked for the New York City Housing Authority from 2002 to 2004. Since 2004 Arad's been a partner at Handel Architects LLP. "I'm proud to be an American. I was not born in this country, nor was I born to American parents. Becoming an American was something I chose to do, and I'm so grateful for that privilege because I love the values of this country and I'm grateful for the opportunities this country has given me first as a student and then as an architect." "America epitomizes for me liberty and equality, tolerance and a belief in shared sacrifices. It is a noble social experiment that depends on every generation's engagement and belief in it. The design of the Memorial of the World Trade Center is a physical manifestation of these values and beliefs. It is a design formed by my experiences in New York in the aftermath of the attacks, where I witnessed the remarkable response of the City as a community, united in its most trying hour; united in compassion and courage, determined and stoic." "The public spaces of the City — places like Union Square and Washington Square — were the sites where this incredible civic response took shape, and, in fact, it could not have taken shape without them. These public spaces informed and gave shape to the response of its citizens and their design is open democratic forms reflect our shared values and beliefs in a civic and democratic society based on freedom, liberty, and yet even the individual pursuit of happiness what else is a pursuit of solace in the face of grief." "Public spaces form our shared responses and our understanding of ourselves and our place within society, not as spectators, but as participants, as engaged citizens, as a community of people united by a shared destiny. What better way to respond to that attack and to honor the memory of those who perished than to construct another vessel for that community, another public space, a new forum, a place that affirms our values and imparts them to us and to future generations." "It has been a remarkable privilege and responsibility to be part of this effort. I am humbled and honored to be part of it, and I am grateful for the recognition this award bestows on the efforts of my colleagues and myself. Thank you very much." — Architects of Healing Ceremony, American Institute of Architects, May 19, 2012, Washington, D.C.
What Happened to the Master Plan for Ground Zero? Are There Memorial Songs to Commemorate 9/11? Where Are the Famous Monuments and Memorials?